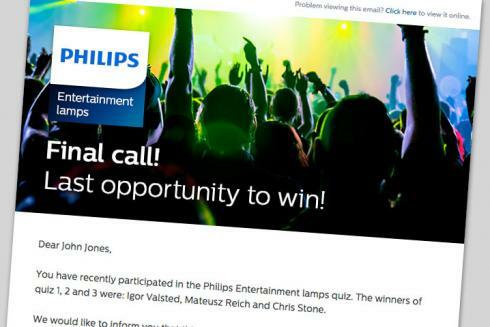 Centigrade recently produced communications material for a digital campaign promoting Philips’ line of lamps for the entertainment sector. The core element was an online quiz to filter and collect user data and the campaign was promoted via a series of emails and a LinkedIn promotion. 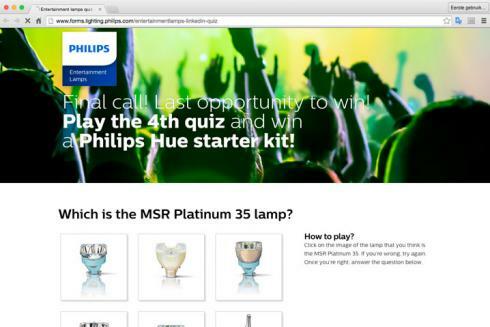 As an incentive, participants had the opportunity to win a Philips Hue smart lighting starter kit. The campaign was very successful with increased awareness, over 150,000 views and a good click through and conversion rate of over 10%. 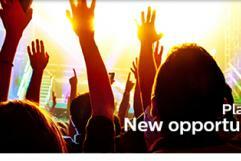 The communications campaign continues to run producing ongoing organic audience growth.